Since its release in 2007, the Buick Enclave has seen steadily increasing sales figures. In 2014 alone it sold 62,300 units in the U.S. alone. The 2014 Enclave also won the Kelley Blue Book’s 5 Year Cost To Own and a 10 Best Luxury Vehicle’s Under $40,000.00 awards. Among the cited reasons for the achievement was the comfortable and quiet ride. This was accomplished through extensive use of sound deadening materials and laminated glass. It was also praised for being user friendly. Among the features found most useful was the ability to slide and fold the rear seats with one hand. This well designed system makes accessing the rear most seating or expanding the cargo space a strain free experience. For the 2015 model year it seems Buick is keeping with the tradition. 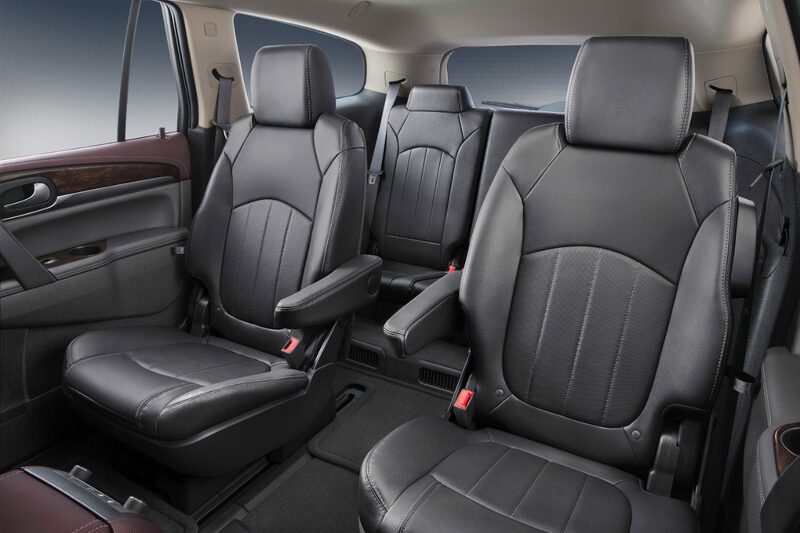 The model comes in 3 trim levels: Convenience, Leather and Premium, with AWD available on Leather and Premium trims. The Enclave uses one powertrain, a 3.6L V6 that makes 288 hp and 270 lb-ft of torque and requires only regular gas. This power is directed to the wheels through a 6 speed automatic transmission. The fuel estimates are: FWD – 17/24 city/highway mpg or 13.8/9.8 L/100 km; AWD – 16/22 mpg or 14.7/10.7 L/100 km. The 2015 Buick Enclave offers high end Luxury, ease of use, and inexpensive ownership in its segment. And it does it all for less money than you might expect.